Kuala Lumpur, 19 May 2017: Motosikal Dan Enjin Nasional (MODENAS) expects its latest street bikes and cruiser sport offering to increase its overall market share in the segment by 22 percent in the first year of introducing its latest products. According to Dato’ Abdul Harith Abdullah, Chief Operating Officer, Automotive Distribution And Manufacturing & Engineering at DRB-HICOM, the collaboration with Bajaj Auto Ltd (BAL) is a natural phase for MODENAS as one of the major motorcycle manufacturer in the region, as the company is well known for their differentiated product lines which have been backed by an innovative R&D team and rigorous product testing. “I am especially happy with this latest collaboration with Bajaj Auto Ltd (BAL) as it has given us the opportunity to penetrate into a fresh segment which is booming and continue to grow stronger in years to come. We strongly believe that this collaboration would be the driving factor that gives MODENAS the edge to achieve its aspiration”, Abdul Harith added. MODENAS is confident of replicating the success achieved by the popular PULSAR NS200 (naked street bike), PULSAR RS200 (race bike) and the V15 (Cruiser Sport) models here as it has proven acceptance globally, being leaders in their respective segments across 74 countries spanning Latin America, Middle East and South Asia This confidence is also backed by the steady demand for street bikes below 250cc, which enjoys a five percent market share locally since the last three years. MODENAS currently enjoys a stable motorcycle market share of eight percent from the MOPED and scooter segment locally. The collaboration will be initiated in stages including front end distribution and development of a dedicated assembly hub in MODENAS’ plant in Gurun, Kedah. These efforts will result in several new launches over the next few years and is expected to redefine the street motorcycle segment in Malaysia. “Malaysians today will have three new models to choose from MODENAS, along with the three bikes we have launched in the past six months”, said Abdul Harith. 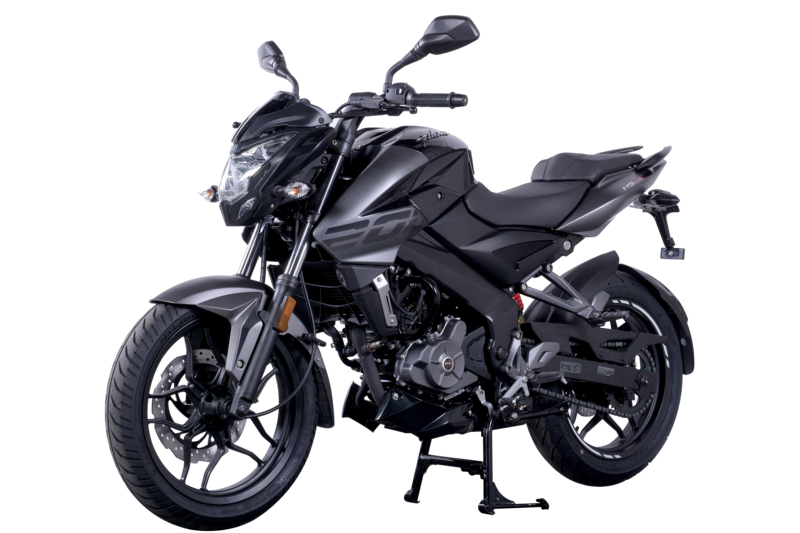 The Pulsar NS200 and RS200 are powered by a 199cc, SOHC, 4 valve, liquid cooled, single cylinder fuel injection, digital triple spark ignition powered engine. Both are offered with a six-speed gearbox, which boasts peak powers of 23.5 PS and 24.5 PS @ 9500 RPM and Torque is 18.6 NM and 18.3 NM @ 8000 RPM respectively. 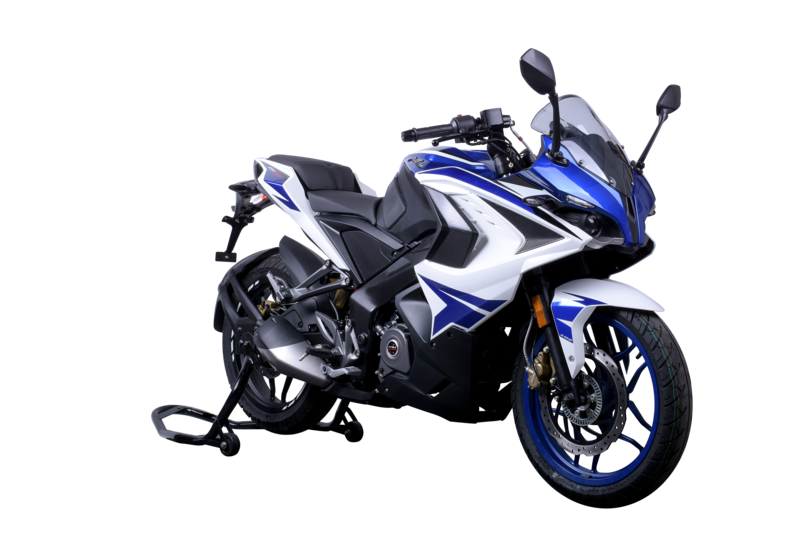 PULSAR NS200 has been crafted to reflect an aggressive and muscular look and feel, and comes in dual toned colours and graphic scheme, whilst the fully faired PULSAR RS200 on the other hand is highly aerodynamic and meant for stability at high speeds. It will be the first full-sized motorcycle in Malaysia to have a singlechannel Ánti-Lock-Braking system (ABS) which ensures safety and stability even at high speeds. 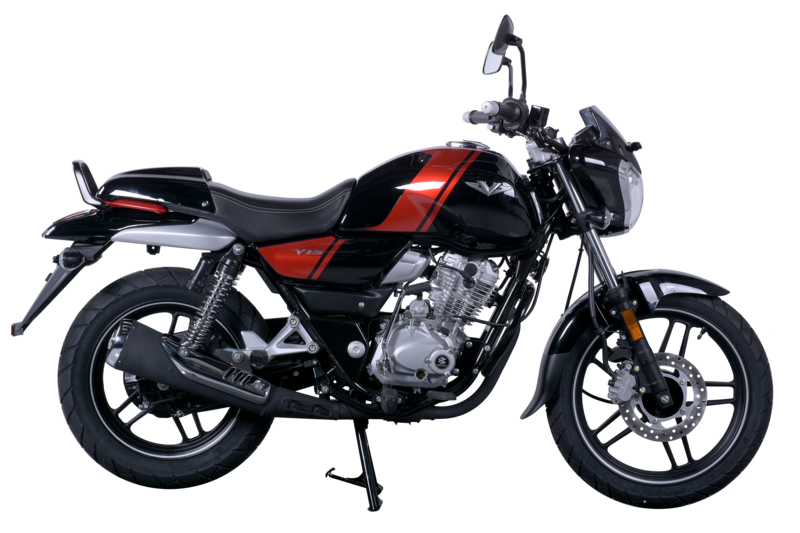 The V15 on the other hand is a 150 CC digital twin-spark powered motorcycle combining the best elements of neo classical styling, comfort and the right power & torque to deliver the perfect ride. Peak Power is 12 PS @ 7500 rpm ,Torque: 13 Nm @ 5500 rpm.